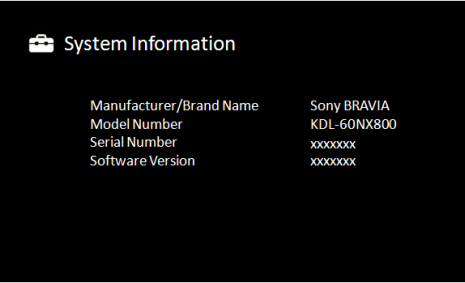 Check the BRAVIA TV current software version. On the TV remote control, press the HOME button to open the TV Home Menu (XMB™). NOTE: In some cases the software version may not be available. In these cases, as part of the normal operation of the TV will display the message that the current software version is N/A.